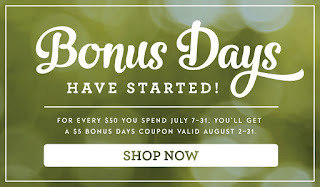 It is another Friday in July, which means another Creative Crew Christmas in July project! This one was done for the Scrapbook and More Focus: packaging- Make some sort of Christmas packaging, especially geared to the younger person. What kid does not love a cup of hot cocoa, with a candy cane stir stick :) Even the kid-at-heart! This was so simple to put together. I don't know that I would make a whole pile of these, but then again, maybe I would. They are pretty cute. And if you want to include a notecard to write on, that would be a very simple addition. Cut a piece of Kraft to 4¾"x8½", score in half at 4¼". Then cut a diagonal piece off the top of the front panel. The angle and location of the diagonal is not important, just needs to leave a peek of the contents. 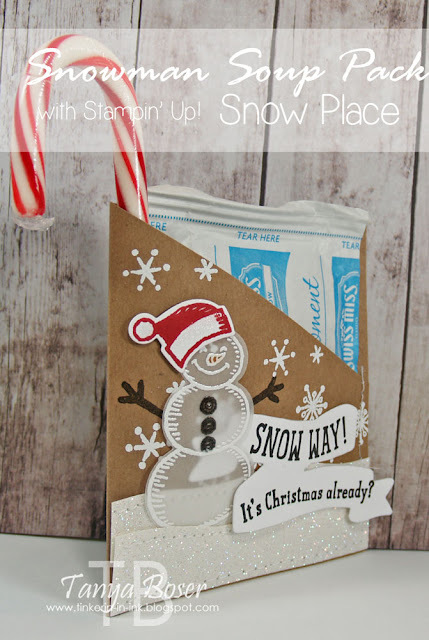 Stamp the snowflake image all over front and back in Versamark ink and heat emboss with white embossing powder. Stamp the snowman in Versamark on a piece of vellum and heat emboss with white embossing powder. Stamp the buttons in Archival Black ink and emboss with clear embossing powder. Color the nose with Pumpkin Pie marker. Die cut with the Snow Friends die. Stamp the santa hat in Real Red on a scrap of Whisper White, die cut with coordinating die. Cut a piece of Dazzling Diamonds Glimmer paper to 2½"x4¼", cut roughly in half in a curvy line, then cut the edge of one of the halves with a lightly different curvy line. 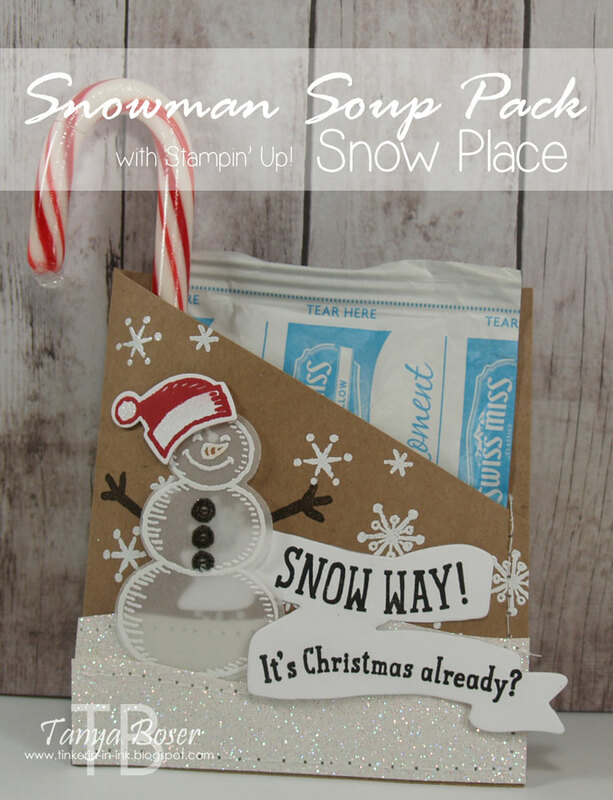 Layer onto the packet front to create snowbanks and lightly adhere. Stitch to front with sewing machine. Then fold the packet closed and stitch the right side and bottom of the packet closed. Tuck the snowman into the snowbank, find where you want to stamp the snowman arms, and stamp them with Early Espresso ink. Adhere the santa hat with dimensionals, using it to secure the snowman also. Die cut the double banner from Bunch of Banners, mask or cut apart the sentiment to fit on the banner and stamp in Archival Black. Use Fast Fuse or Tear and Tape to secure the banner to the packet front, tucking partially behind and over the banner. Add a little Clear Wink of Stella to the hat. All done! !